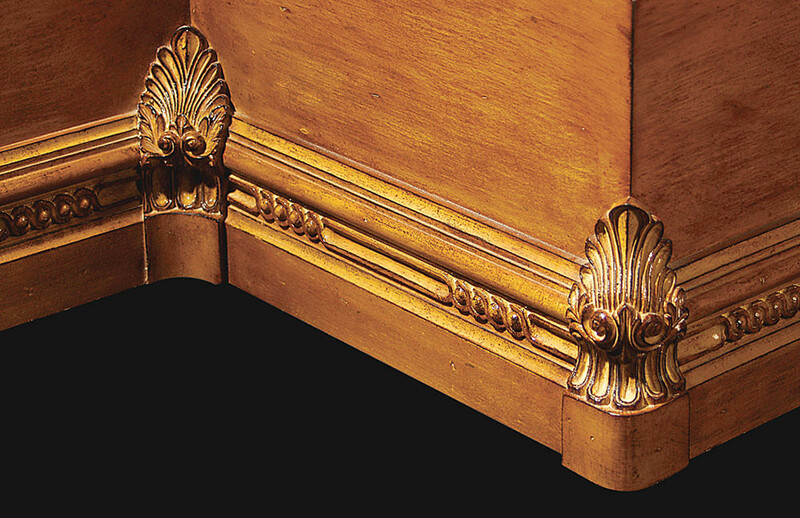 The Acanthus leaf and scroll bases are specifically designed for use in the cabinet industries. 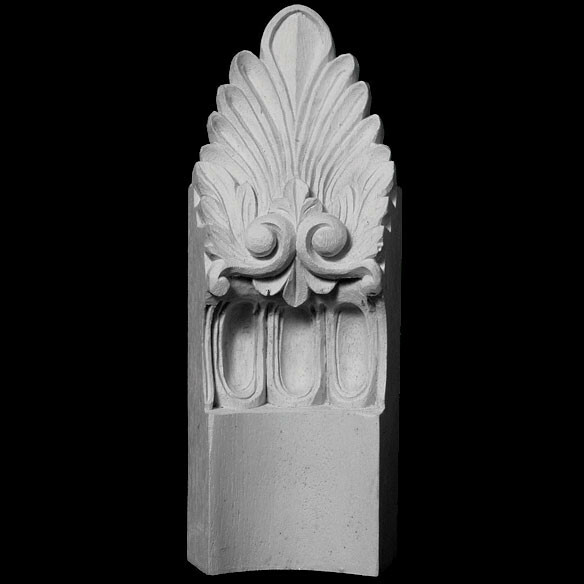 They are a perfect carved INSIDE detail for the bottom of base cabinet moldings, typically used in bathroom sink cabinets or in kitchen islands. Specifically designed to use with MLD-320.